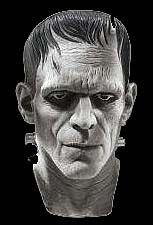 This is the Silver Screen edition of Sideshow's 12 inch version of Boris Karloff as Frankenstein's Monster. This was a Limited Edition of 3500 and is now out of production. Looking for the perfect Halloween mask for this year's activities? This is it! 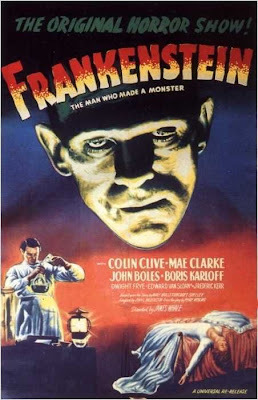 A near perfect Frankenstein's Monster likeness of Boris Karloff. This deluxe adult mask is one size fits all. It is a complete over the head mask made of latex. Manufactured and distributed by Rubies, the world's premiere costume company.